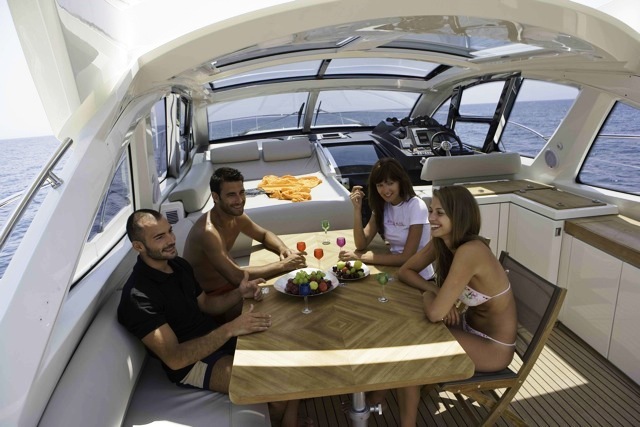 Motor yacht Atlantis 54 features a large tinted windscreen that extends all the way back to a transparent UV barrier sunroof. Underneath this hardtop is the salon, or cockpit area which is a great spot to enjoy cruising with fantastic views across the Mediterranean Sea. This area does not have any aft doors separating it from the aft deck or outside so it is truly open air. 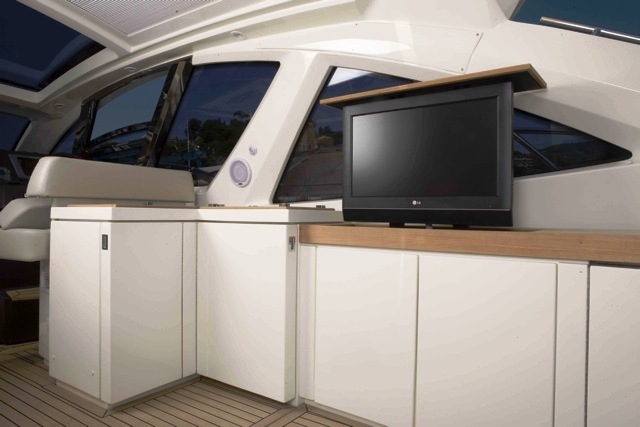 This upper salon / cockpit area features a TV and dinette as well as a Chaise lounge opposite the advanced helm station. 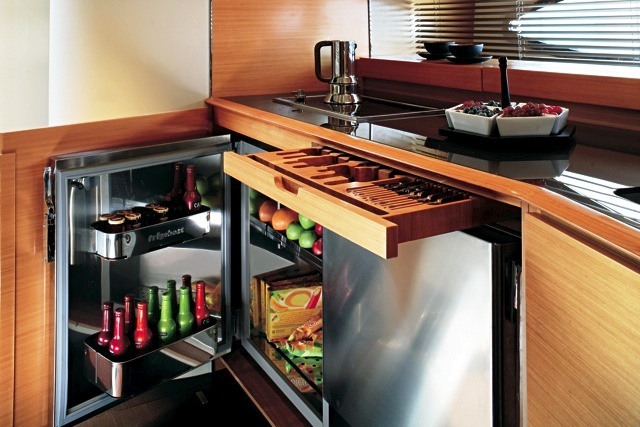 There is a fully equipped bar and large sunbathing pad to the aft. 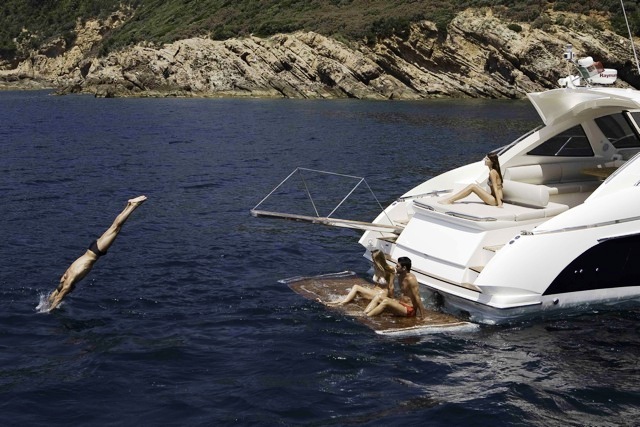 Another special feature of the Atlantis 54 is her swim platform that can be partially submerged making the ideal spot to cool off in the hot Western Mediterranean sun. 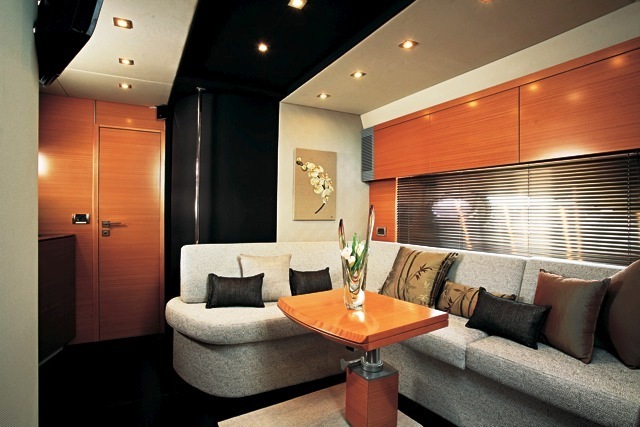 The Atlantis 54’s salon is located below deck and features an L shaped couch with an extendable table for dining. 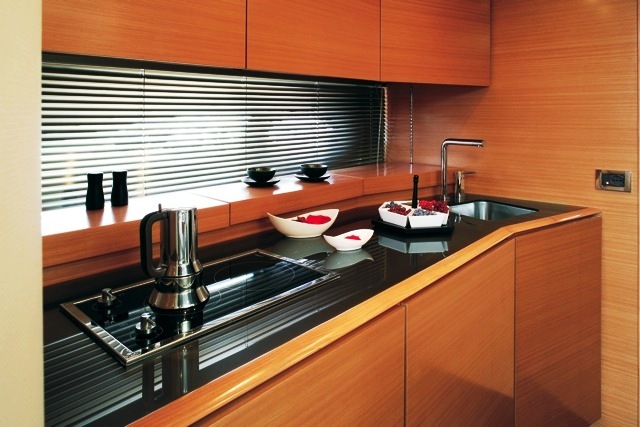 Opposite the dinette is the Galley. 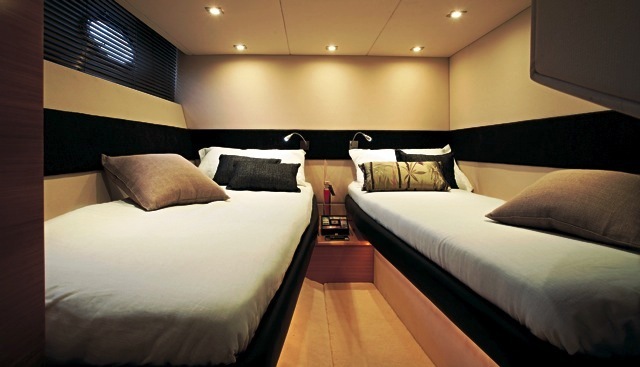 The accommodation area is also located below deck and includes 3 cabins however one of these is reserved for the Captain so a maximum of 4 charter guests can be accommodated either 2 doubles or 1 double and 1 twin cabin. 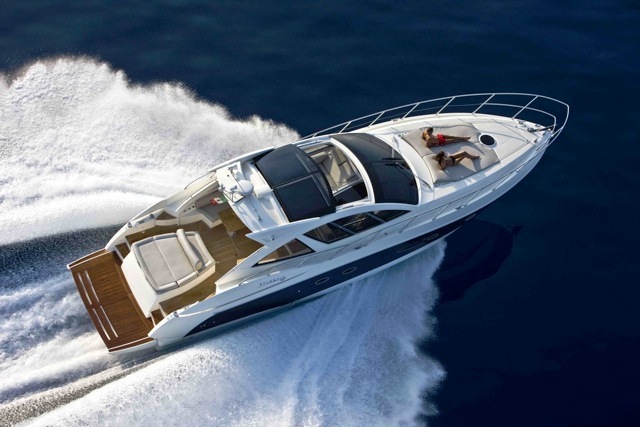 The Atlantis 54 charter yacht is available for charters around Malta. 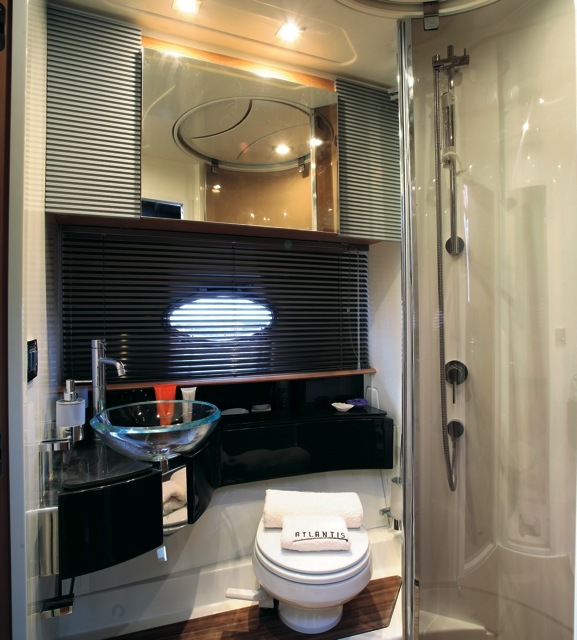 The accommodation on board motor yacht ATLANTIS 54 includes 3 cabins however one of these is reserved for the Captain so a maximum of 4 charter guests can be accommodated either 2 doubles or 1 double and 1 twin cabin. 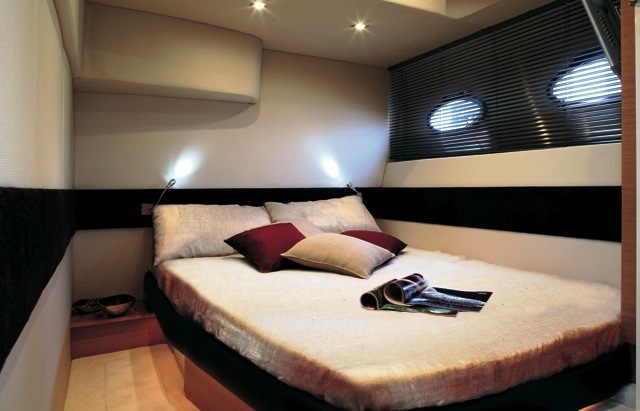 Please contact CharterWorld for a list of Amenities and extras onboard motor yacht ATLANTIS 54.